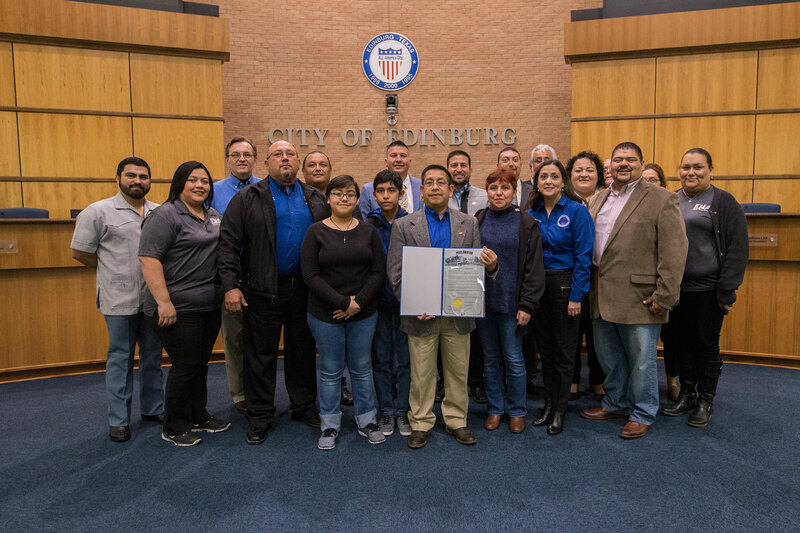 EDINBURG, TEXAS (Jan. 16, 2019) – The Edinburg City Council recognized Aureliano X. Martinez for 26 years of dedicated service to the Edinburg Housing Authority at the Jan. 15 city council meeting. Martinez joined the Edinburg Housing Authority in 1992 as part of an improvements and construction crew and later rose through the ranks of the organization. In 1996 he was promoted to Housing Quality Standards Inspector after receiving his HQS certification. Martinez was accompanied by his family and co-workers at the presentation.